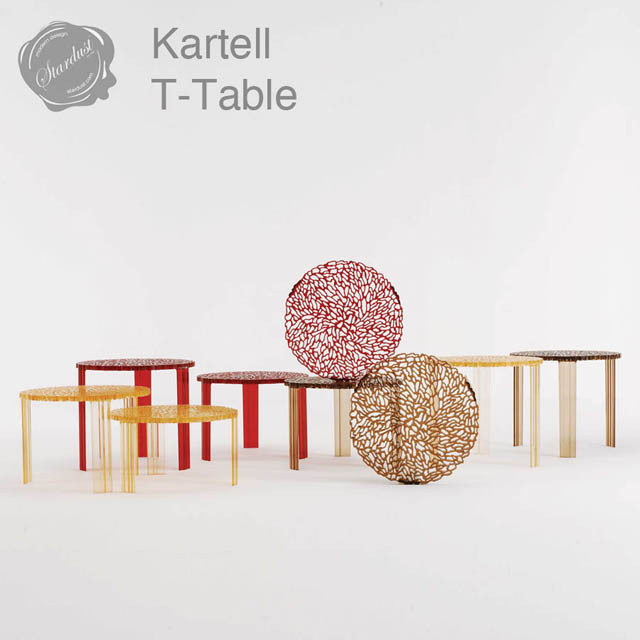 Stardust presents the T-Table by Kartell. 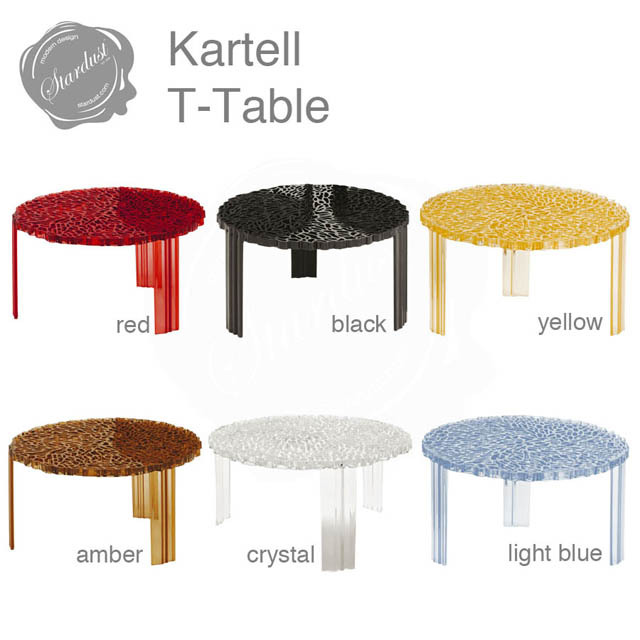 The Kartell T-Table was designed by the amazingly creative architect and designer, Patricia Urquiola. 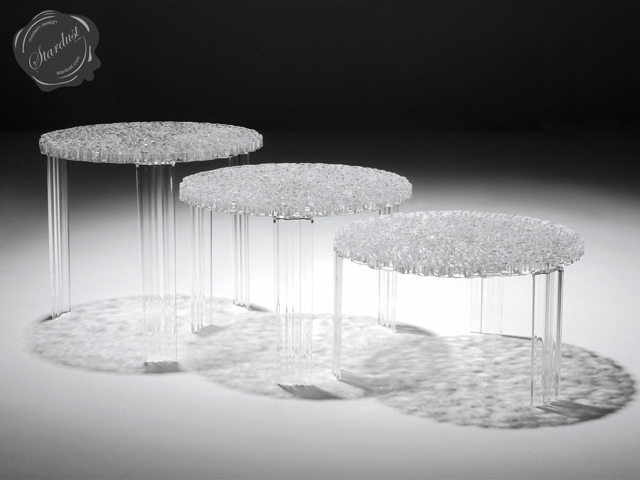 The T-Table plays on the concept of density and space...alternating solid material with cutouts. 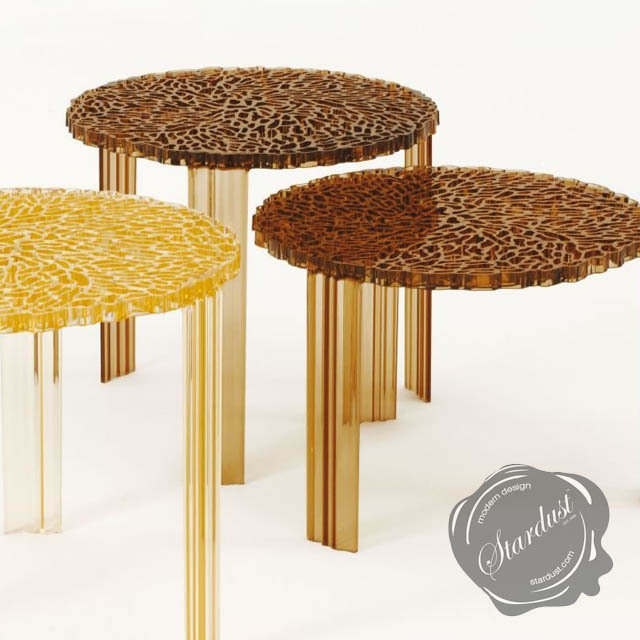 Personally, this lovely table reminds me of foliage. Although others say it looks like embroidery. What does it remind you of? 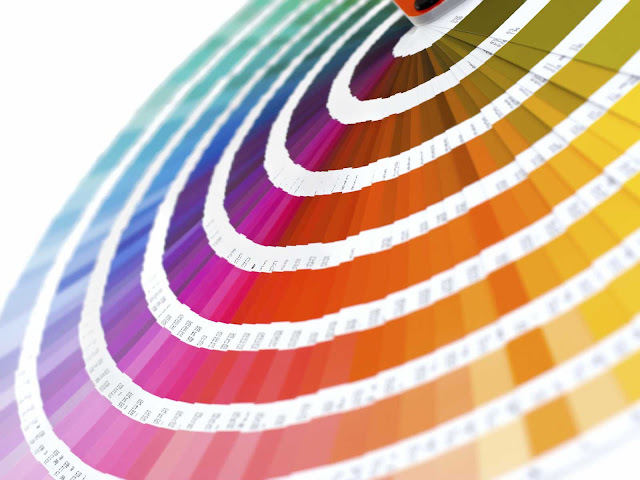 The sturdy T-Table is made entirely of durable PMMA. 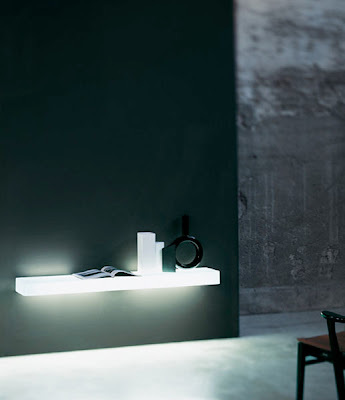 It comes in a series of transparent colors plus opaque black matte. 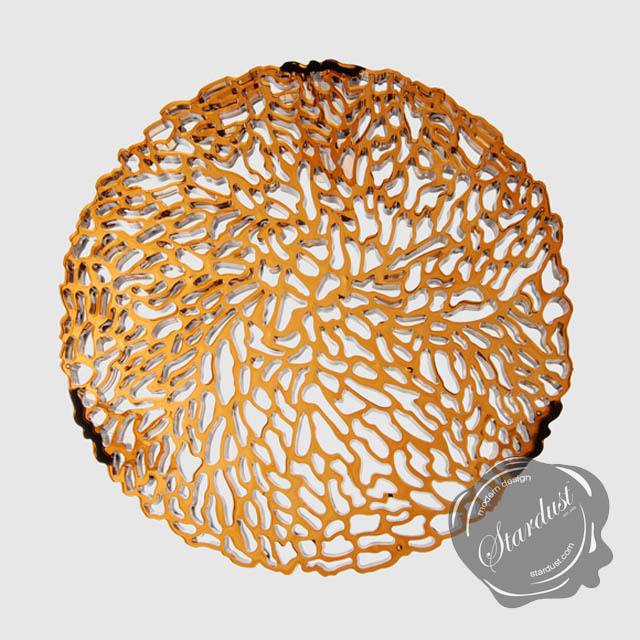 Available in three different heights, it's fun to nest them to create a larger table-scape or use them alone for a great accent. 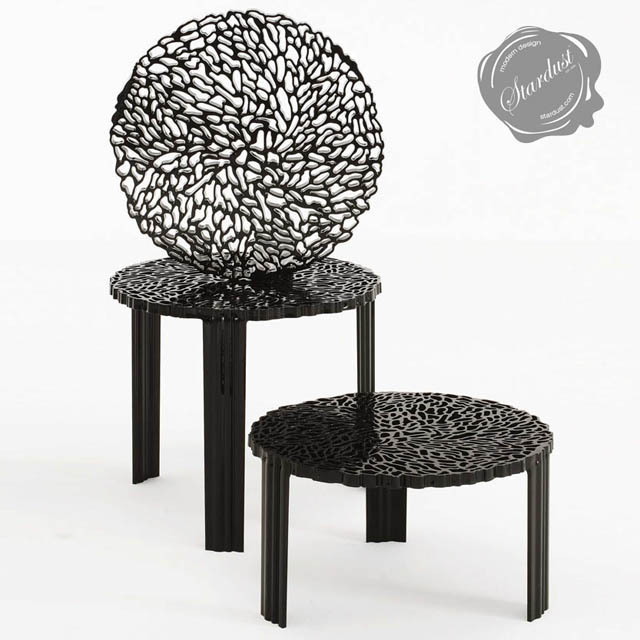 Sturdy for both indoor and outdoor use. 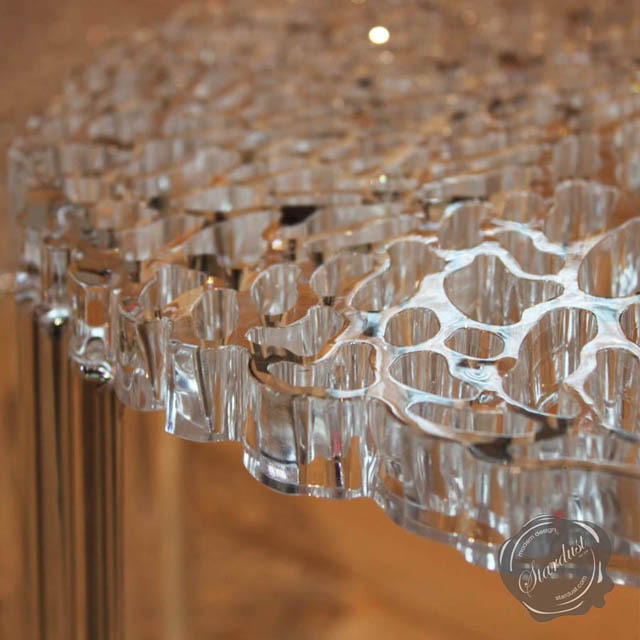 Each table measures 20" diameter. 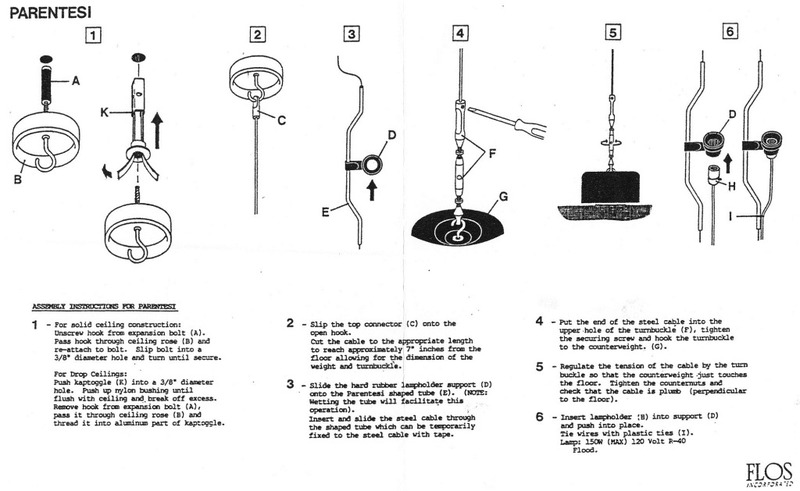 Three heights to choose from: 11", 14" and 17". 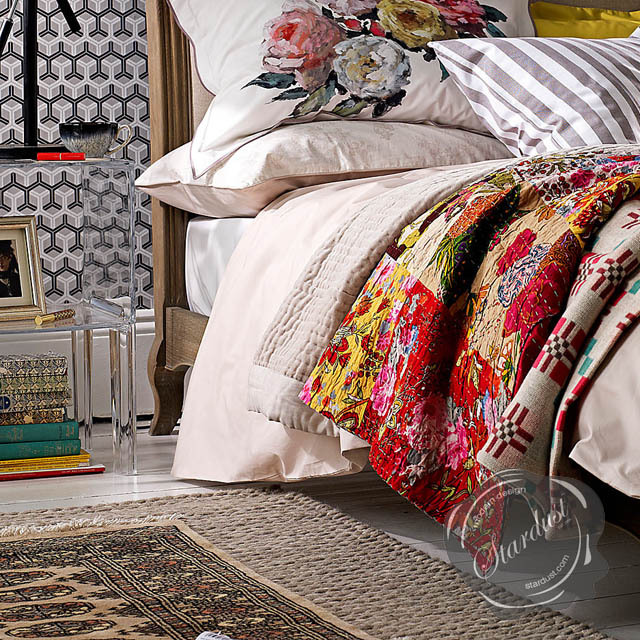 Design Patricia Urquiola. Transparent or batch-dyed PMMA. 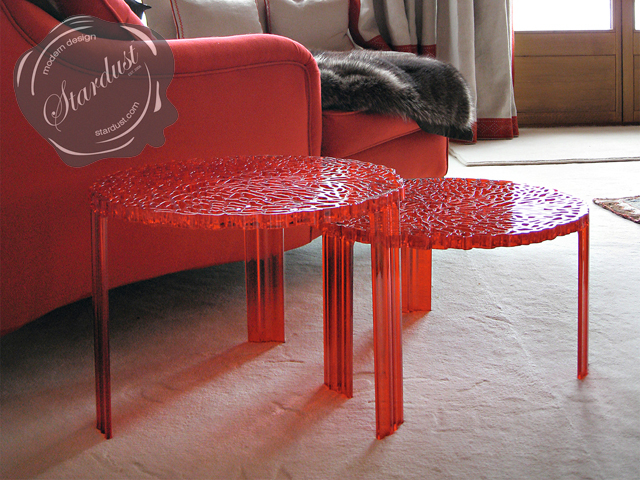 Made in Italy by Kartell.